All fried meals served with your choice of a side. The fried Snug Harbor Platter is made for 2 people. A New England favorite, our Fish and Chips feature Pollack because it is a fish that is fresh, local, and sustainable. 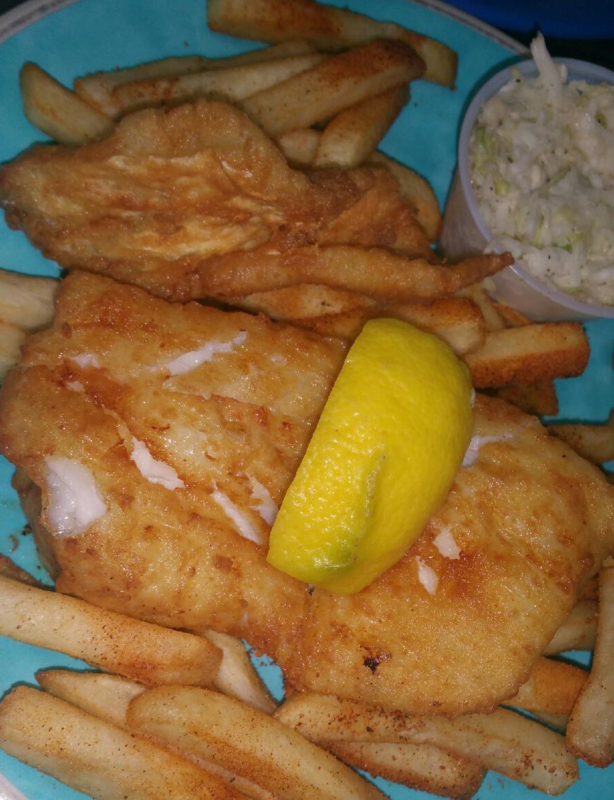 You can request the Fish and Chips be made with cod or haddock for an additional charge. We prepare the Fish and Chips by lightly battering and frying the fish until it’s golden brown. There are not many places that offer fried Native Whole Belly Clams on the menu—so be sure to check these out! We prepare the Whole Clams by battering and lightly frying them, serving them with a side of tartar and cocktail sauce. Our fried Clam Strips are made of surf clam meat that is lightly breaded and fried, served with a side of tartar and cocktail sauce.